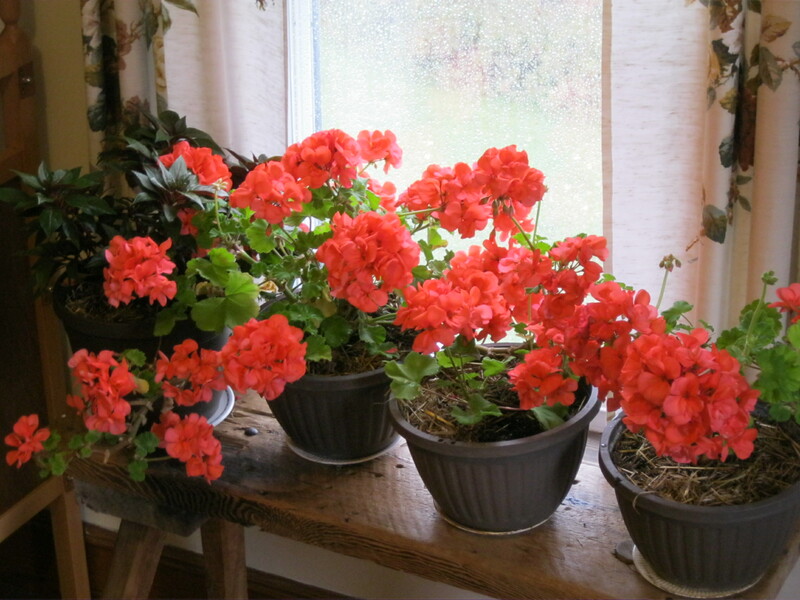 Lovely geraniums! Frost got most of my annuals before I had a chance to get organized. I did however manage to bring in my rosemary and all the houseplants that spent the summer outside.